African fashion is becoming a global buzz and the fashion world seems to be opening up; the status quo challenged. 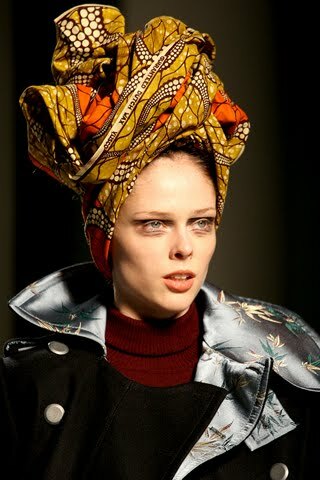 In the UK there are various designers using African prints as their staple inspiration, which have been showcased across the world including; African Fashion Week London, last year’s NY Fashion week, African Fashion Day Berlino (included African, Afro-Caribbean and African-American designers) and Ghana Fashion and Design week in Accra, which had vogue Italia as its international media partner. I’ve never watched a full episode of BBC interview program ‘HARDtalk’, but after watching the Ozwald Boateng interview (click here to view) aired earlier this year, the program definitely lives up to its name! 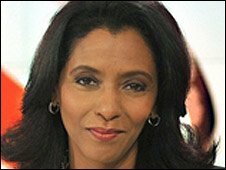 Established Sudanese presenter Zeinab Badawi didn’t make Ozwald Boateng (Oz B – I will use this throughout the rest of the post :-)) comfortable and asked some pertinent questions (I suppose that’s what any credible interviewer should do). Some of which, I have wanted to know the answers to for a while. He actively suppressed a part of his heritage because he did not want to be stereotyped. I believe he probably had to do this to progress; otherwise it may have taken him a lot longer to get to where he is right now as a designer rather than a black designer. His fellow comrades, Vivienne Westwood (launched a made in Kenya collection) and Jean-Paul Gaultier used African influences in their work over the years and did not have to worry about being pigeon-holed. I’m glad that Oz B is finally embracing African prints but also salute new designers who are not afraid to use them in the early stages of their career. However, it is easier to follow a trend that is becoming more acceptable in western society. Being the ‘token black’ designer on Savile Row must have been very difficult (being a ‘token black’ in any industry is hard), so I can understand why he was hesitant to use African prints, but still wished he did so earlier. Apparently it’s now ‘fashionable to be African’; when I heard this, one of my favourite quotes popped into my head (also in my ‘This quote I found’ post) – ‘Fashion is fleeting, style is eternal’. If Yves Saint Laurent was right when he said this, and I think he was, then I don’t want African prints to be fashionable, but stylish! Many things African are becoming acceptable in countries outside the continent, but the enthusiasm for African products is not shared in Africa. From my own experiences and common knowledge, I know that many Africans in Africa desire western products with a passion. David Simon, professor of development geography at Royal Holloway University commented on this issue saying that African consumers buy products based on style rather than sustainability and prefer second-hand western clothing. This is because they want to associate themselves what they see on TV. I do agree with this, but considering all the knowledge about sustainability in the west, consumers here buy based on style too. However, whenever I have bought a gift from London and given to family in Ghana I become their favourite relative :-). To be honest I am not sure what triggered this African print explosion, whether it was mainstream designer labels such as Burberry, using the prints or the diaspora no longer feeling embarrassed by their heritage, but realising its value. Unfortunately, lots of Africans still regard western products, depictions of beauty and culture as superior to their own. Hopefully this mentality will change, especially with Africans in the diaspora immigrating to Africa or visibly embracing their culture, whether it’s through clothing, food, music or language. It’s not that Africans in Africa are incapable of lifting the continent but those in the diaspora have a duty and a role to play, as we have benefitted from having different experiences. We shouldn’t hide or ignore the Motherland anymore! Reblogged this on Life of Afua. Reblogged this on Migratory Habits. Next Entry Eating yourself to obesity – A blessing or a curse?